What Kind of Caregiver is Right for Your Loved One? The time has come for your family to discuss elder care options. Perhaps an injury or illness has prompted the conversation, or you are dutifully preparing for the future. Hiring an in-home caregiver is a challenging process and should be performed with considerable diligence. Whether you work with an agency or hire an independent caregiver, transparency and supervision is critical. A powerful home care system or home care software like ClearCare Online will give your family real-time visibility to patient point-of-care, which brings incomparable peace of mind. Create a description of what you are specifically looking for in a caregiver and discuss exactly what care is to be provided with your physician, family members or other advisors. Agencies and caregivers provide a broad range of assistance with everything from meal preparation, housecleaning, hygiene care, exercise, transportation, activity planning and socialization to medical assistance. Only you and your family can determine what level of care is appropriate for your loved one. Activities of daily living can be entered into a home care system, such as ClearCare Online, and read out to the caregiver via telephony message when she clocks into her shift. This way, you will know exactly what is taking place while you are away. Meet with several individual caregivers and/or professional agencies. If meeting with an agency, consider whether the agency carries liability insurance, and inquire if the agency's caregivers are bonded and whether a criminal background check is conducted. Ask what specific training is required for the agency's employees . An agency that uses ClearCare Online’s home care system or home care software can easily access these records. Review credentials carefully and always check two or three references. Insist upon real-time visibility to the care that is provided. Many agencies use “paper care journals” which are kept in the senior’s home and inconsistently completed, collected and inspected. Paper care journals also create a significant lag time between the care that is provided and when the agency knows about it. Look for an agency that uses a web-based home care system and home care software like ClearCare Online to give you real-time visibility – not only to whether or not the caregiver is present – but to daily care tasks. Innovative home care software also matches caregivers to clients using specific criteria, ensuring that your loved one is being cared for by the right individual. 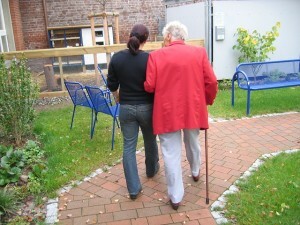 Choosing a caregiver is a weighty responsibility. With time, preparation, and the right resources, you can make the right decision. When it comes time to leave your loved one in another’s care, ClearCare Online’s home care system and home care software is here to help.